The River City Runners group hosts a variety of races and activities to raise money for the American Cancer Society, including the upcoming production of “Love Letters.” Pictured are runners in the Jingle All the Way 5K held last last year. “Love Letters” is described as a “non traditional play” written by playwright A.R. Gurney, which tells the story of Andy and Melissa, who reveal their “true selves” as they remain in contact through all of life’s successes and tragedies. Bidwell resident Laura Miller and Mike Kennedy, from Middleport, are Melissa and Andy. Audience members are free to focus on the words and the ever-changing relationship between the two characters, according to a press release about the event which is being presented by Sparkle Productions of Gallia County at 7:30 p.m., Saturday, Feb. 16 at The Artisan Shoppe and Studio, 749 Third Ave., Gallipolis. This play puts two actors on a stage where they read correspondence spanning 50 years. Doors open at 7 p.m., tickets are $10 and may be purchased online at www.theartisanshoppe.org. Walk-ins are also welcome. Seats are first-come, first served. Proceeds will go to support the fundraising efforts of the River City Runners for the American Cancer Society. “Love Letters” is approximately an hour and a half with a 10-minute intermission. It is produced with special arrangement through Dramatists Play Service, Inc. The play was a finalist for the Pulitzer Prize in Drama in 1990. 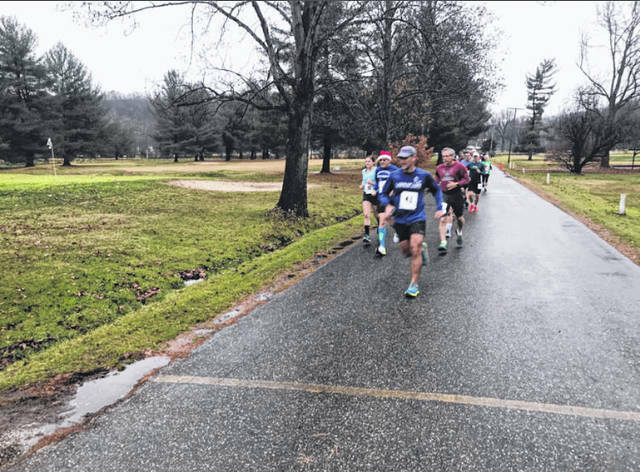 Earlier this month, a representative from the River City Runners told Ohio Valley Publishing, the group was hoping to raise $17,000 for the ACS this year, which is estimated to bring the group’s five-year total of donations to fight cancer to $60,000. Laura Miller and Erin Perkins contributed to this article.